Are you not in the mood for the task you've been given? Want to move on immediately, without having to wait for a new task? 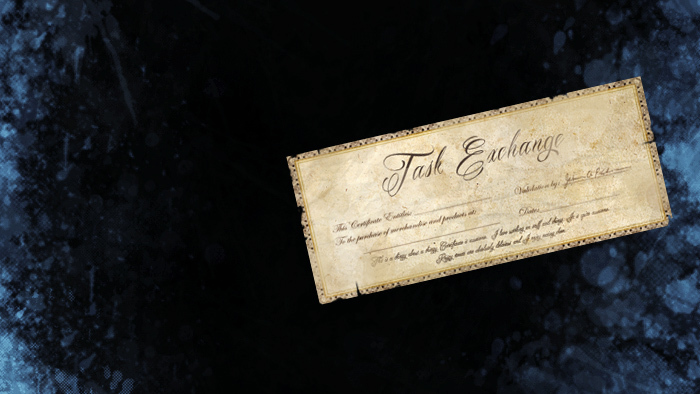 Just redeem one of these handy, dandy Bounty Task Vouchers to get a fresh task. Appearance: "An Adventurer's Guild Voucher Pack"